Wine, Woman But No Song (You could hum if you want) | What Goes with What? It was my good fortune to have recently discussed the world of food and wine with two women totally involved in the process and I was also impressed by the words of another woman whom you may refer to as “prominent” in the industry. A local restaurant did a food and wine pairing that featured the wines of McMurray Ranch. I had the opportunity to speak with Kate McMurray, daughter of the late Fred; I’ll let you think about that for a moment. I also spoke with the chef and co-owner of ZaZu restaurant Duskie Estes, to gather their thoughts on matching wine and food. 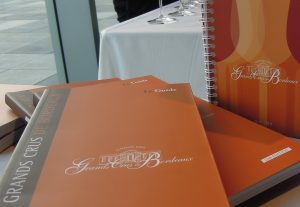 Gina Gallo, yes that Gallo made some remarks recently regards her thoughts on family, farming and winemaking, I hope you’ll find it all very interesting, but first let’s get to Bordeaux – you could start humming now. So you say that’s all well and good from a magazine but what about some thoughts from a guy who actually made some of the wine. 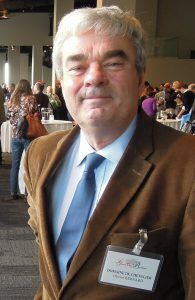 At the Bordeaux tasting in San Francisco I was also taken with the quality and flavors exhibited by the 2015 vintage especially in St Émilion and Margaux and was quite pleased to meet and interview Monsieur Oliver Bernard the owner of the Domaine Chevalier and representative of the Union des Grands Crus de Bordeaux. “Bordeaux has been over extracted too often in the past (in an effort) to please American wine critics”, he smiled, “but this vintage is very classic, very modern, it has everything in it but not too much, it’s not your big, big, big with too much Oak or too much extraction. It has long structure and lovely balance. The wine was done by the vintage, (weather and growing season) not by technical means”. As to aging for such a great vintage I was a little surprised when Bernard offered, “This will be a lovely wine to drink a little bit young, 10 to 15 years would be terrific but as soon as five will work too”. Research told me that even the secondary wines, that’s what doesn’t fit in the first blend of major Chateaus, will be outstanding and probably at very good prices. No space for lists here so please look for some recommended Bordeaux’s elsewhere on the site. Duskie Estes who, along with her husband John Stuart are chefs and proprietors of ZaZu Kitchen and Farm. They raise their own pigs and feature pork products at the restaurant in Sebastopol just west of Santa Rosa; you don’t have to ask her twice about anything. “Food and wine pairing is a very personal thing and to demonstrate we often host three or four winemakers and have them bring the same type of wine maybe a Rose’, Pinot Noir and so forth, we put their bottles on your table and let you pick what matches best, it’s quite a learning experience” she stated. 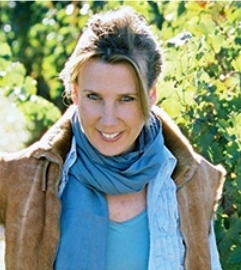 Kate MacMurray represents the McMurray Ranch winery as an all-around spokesperson promoting the legacy of the ranch and the wines that come from it. Her late father, Fred MacMurray bought the ranch in 1941 and with the continuing success of his acting and film career began growing grapes and making wine. The quality of the Chardonnays and Pinot Noirs has always been outstanding and attracted the attention of the folks at Gallo who purchased the winery in 1996. The quite charming Kate was representing her wines at the restaurant. “Food should not only taste good but it should look good. My mom and dad were all about tasting and stirring and trying different things and I think it’s important that people should continue to do that too”, she shared. 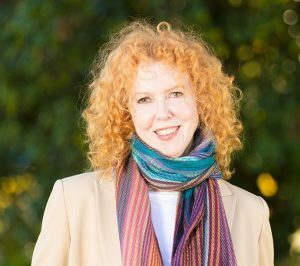 “Consider that many elements affect wine and food matching, she continued, “cold food, hot food, the temperature of where you are and whether it’s hot or cold outside, eating food and drinking wine is really for everyone as it’s become so accessible”. I had to ask – “Life with Gallo is a perfect life” MacMurray mused. “I could not have found a better family to work with side-by-side and to be part of their family – it’s been such a lovely gift”. One hopes we all remember Fred McMurray from the “My Three Sons” TV show and Disney movies of that era but Kate was duly impressed when I noted one of her father’s most famous performances in a 1944 movie, “Double Indemnity” where he played an insurance salesman who ends up plotting a murder with a beautiful woman, you’ll find it now on TMC. Gina Gallo is a respected force in the wine industry and serves as the Senior Director of Winemaking for the Gallo conglomerate. She made the following remarks at a recent wine industry event. “As children we were fully involved in meal making process. Working out in the garden was a formative experience for me. I was learning the importance of flavor development. I learned the importance of waiting for the fruit or vegetable to fully ripen”. She also talked about the need to balance technology with the knowledge farmer’s gain from decades of working with the same land. “Today when we want to learn the strongest vines in a vineyard, we use infrared cameras; in the cellar we have optical sorters and destemmers that treat the fruit with the utmost care. We’re using IBM Watson technology to develop a precise irrigation system that uses NASA satellite data to give the vines just the right amount of water right when they need it”. And yet her final thought about the use of technology isn’t about it at all. “My grandfather had a saying: you can tell the quality of a vineyard from the farmer’s footprint in that vineyard”. Gallo sold 1.233 billion dollars of wine last year with five of the top 20 brands, #1 Bare Foot, Apothic, Gallo Family, Liberty Creek and Carlo Rossi – you can stop humming now. Look for a tasty little rice recipe – Dirty Rice from Cuarto Restaurant Maui elsewhere on the site.